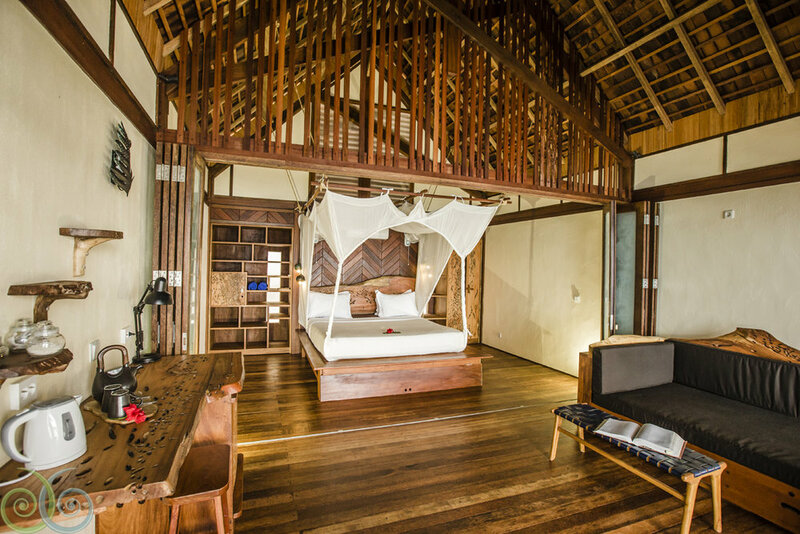 Misool Resort was built entirely of reclaimed tropical hardwoods, milled on site with our own portable sawmill. Our accommodations have been meticulously designed for comfort, privacy, and sustainability. 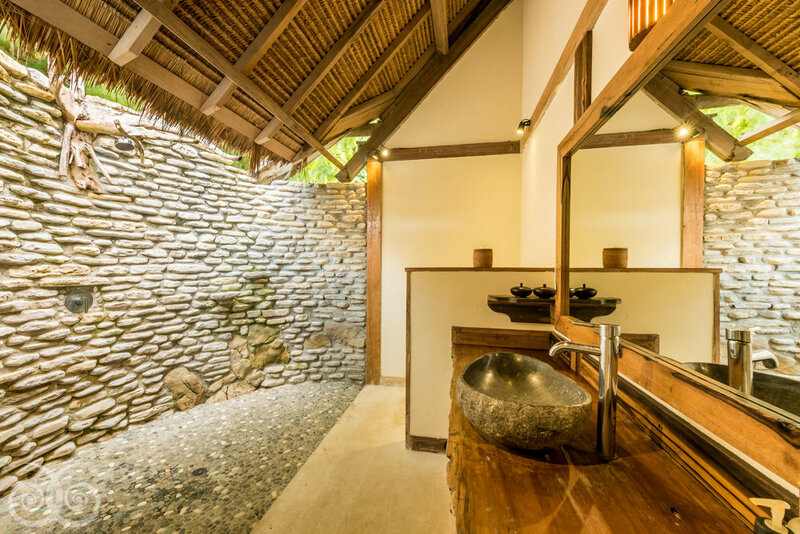 All of our rooms feature Balinese-style open air bathrooms, air-conditioning, fresh hot and cold showers, mini-bars stocked with treats from around the archipelago, and handcrafted furniture and fittings. 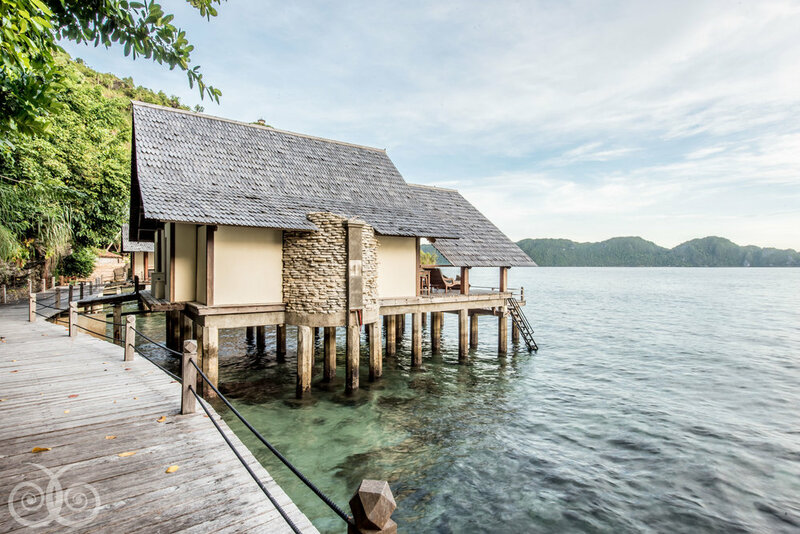 Our eight rustically luxurious Water Cottages are built on stilts over the North Lagoon, just steps from the Dive Centre and restaurant. In the same area, we offer four slightly larger North Lagoon Villas. On a powder-white beach, you'll find seven South Beach Villas overlooking a blue water swimming hole. This beach is reached by a short but steep walk over the hill. Alternatively, a Water Taxi is reachable by radio and available at all times except very low tide. The Water Cottages are built on stilts over the water. For lazy afternoons with a good book, there is a hammock built right into the veranda. The view from your veranda is framed by a traditional grass roof, offering a high degree of privacy as well as shade. 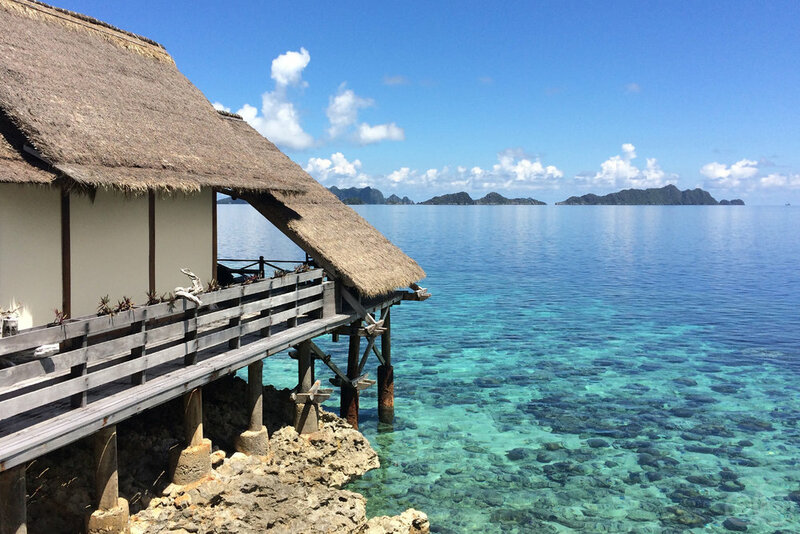 Stairs lead down from your veranda to the North Lagoon, and the House Reef is just a few fin kicks away. 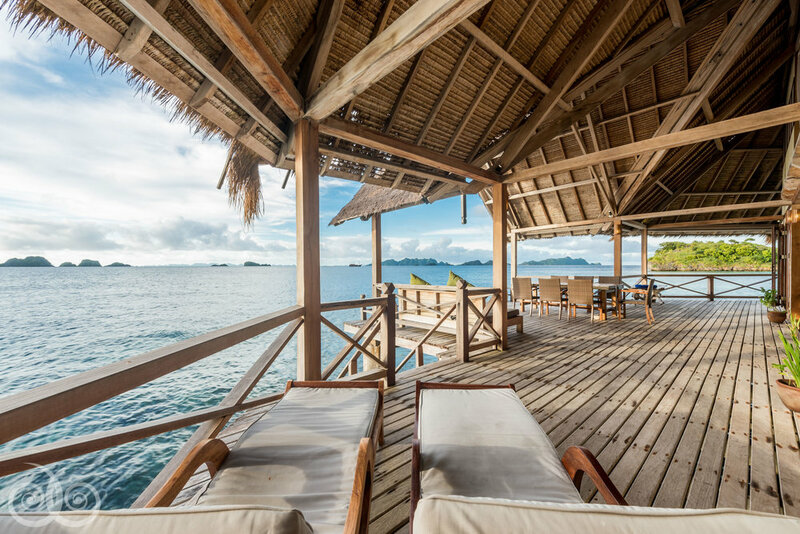 Villa Utara overlooks the House Reef and the spectacular dive sites of Fiabacet beyond. Steps down into the sea give easy access to the House Reef. This Villa features two en-suite bedrooms, a shared common area with a half bath, a loft, and a massive veranda. We especially recommend this Villa for families or groups of 4-6 friends. Private dinners can be arranged on your veranda. 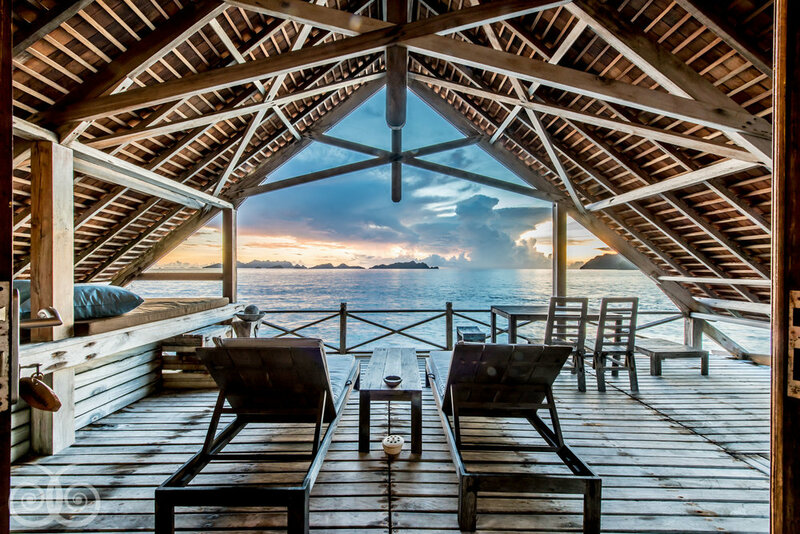 These two neighbouring villas are built on stilts over the House Reef. 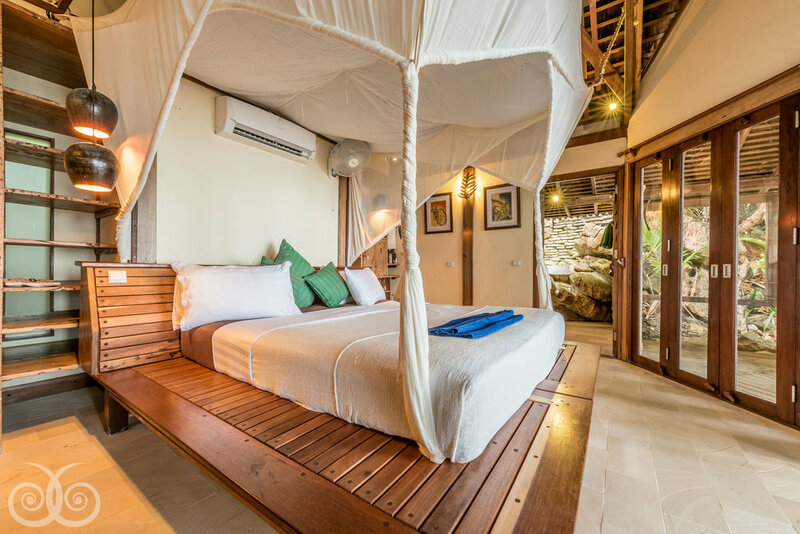 They feature a hammock built into the verandas. This is the ideal spot for early evening shark-gazing while the sun goes down. Villas Nasnoos and Wakachom each feature a master bedroom and an indoor living area with sofa. The sofa can be converted into another twin or double bed, and there is a partition to add privacy to the master bedroom. 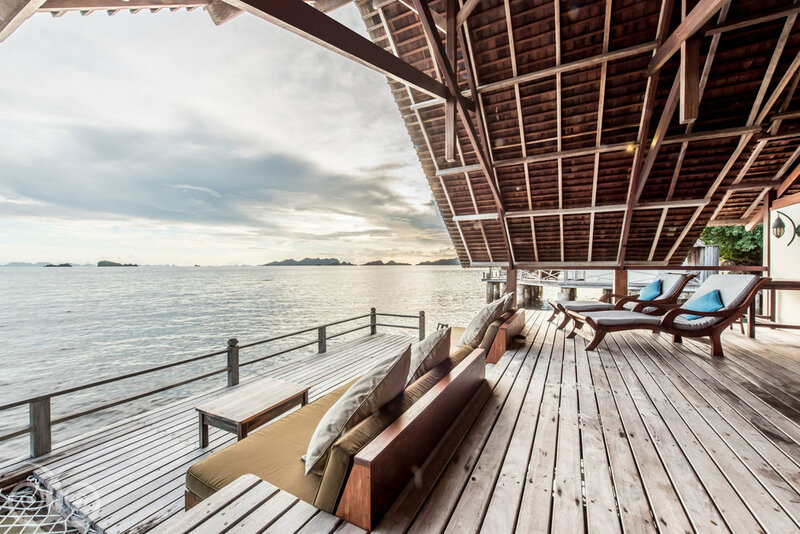 These Villas also have lounge seating sunken into the veranda as well as steps down into the sea. Perfect for 2-3 guests. Villa Tabisasu is located on the eastern edge of the North Lagoon. 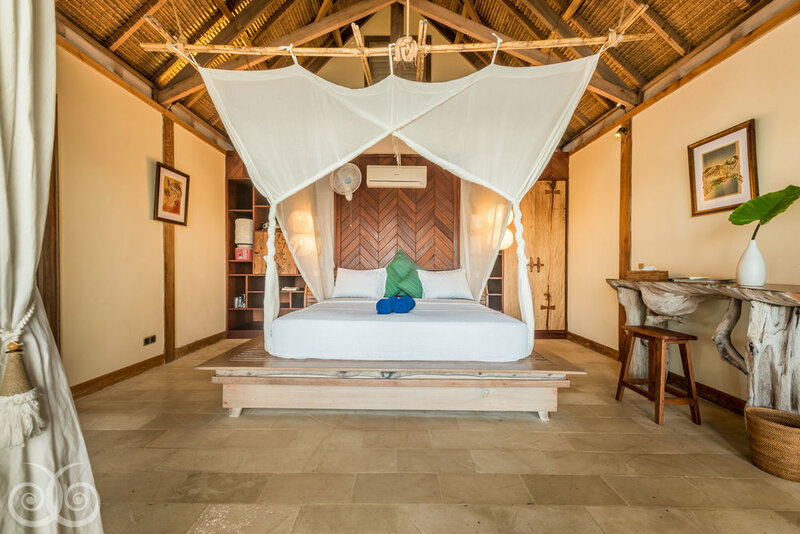 This Villa, named after the local word for 'orchid,' features an en-suite bedroom and adjoining living area. The outdoor living-area face east and enjoys glorious sunrise views, all your own. This Villa is perfect for couples who appreciate a bit more space. 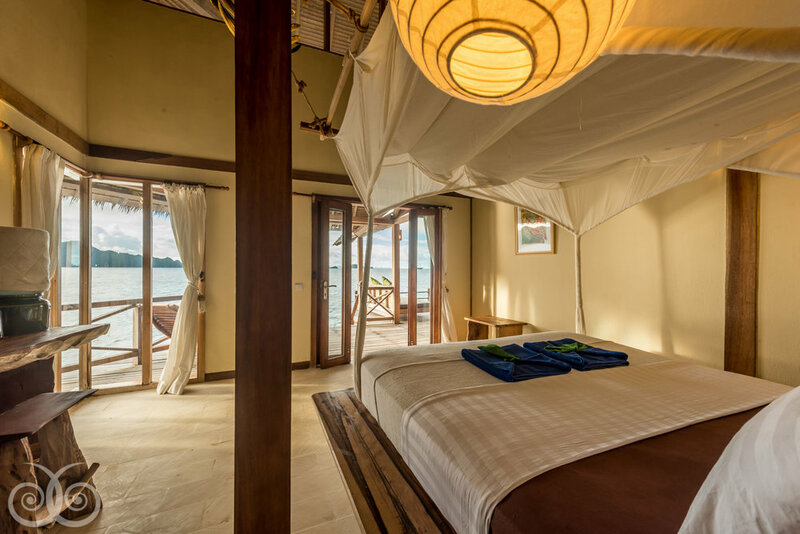 Villa Waya Biru is tucked into the jungle under a wild almond tree, this Villa features unrivalled views over the far southern horizon, with the powder-white South Beach just a stone's through away. This octagonal shaped room has a separate 'pod,' which you may like to use for meditation, yoga, writing, spa treatments, or simply snoozing. 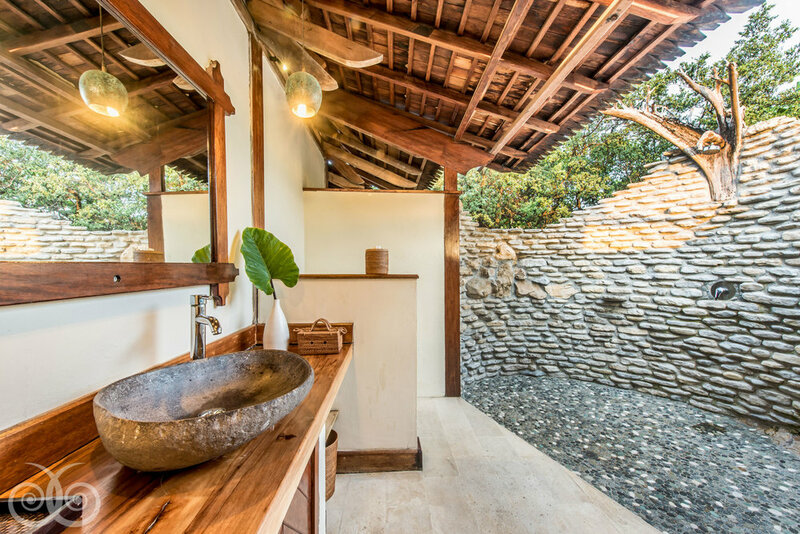 The bathroom is built into the surrounding rocks, with a view from the shower that cannot be beat. Hence the name Waya Biru, which means 'Blue Water' in the Misool tribal language. 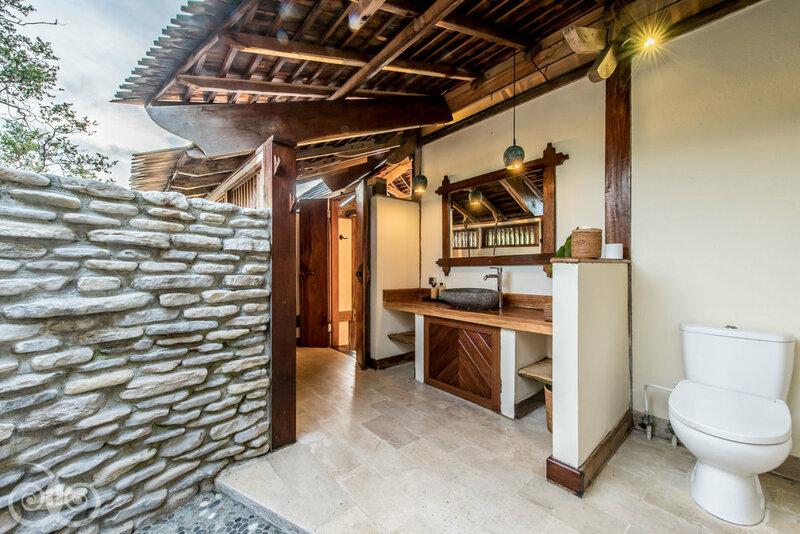 This Villa also features an extra octagonal shaped 'pod,' perfect for meditation or yoga. Villa Moro Laiyn is named after the Misool language word for 'South Breeze.' 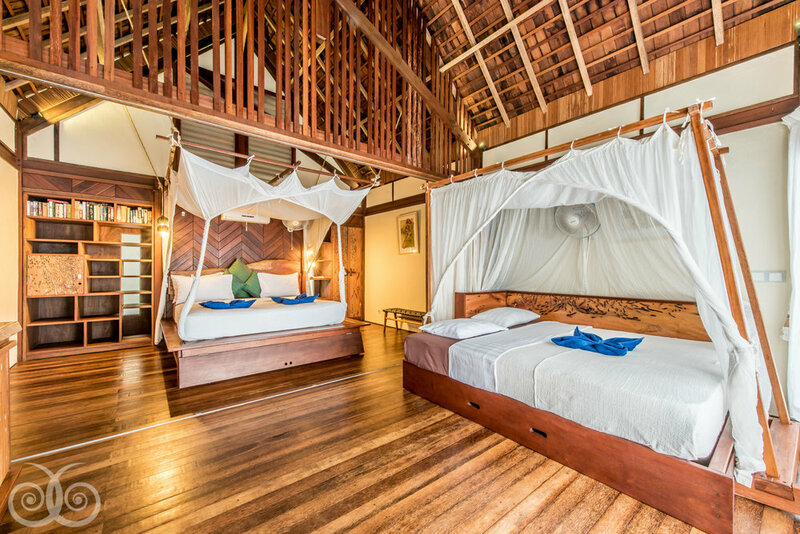 This villa has a decidedly tree house feel to it. Like its neighbor Waya Biru, this Villa is surrounded by trees and jungle sound. From the octagonal-shaped bedroom, you'll be able to see baby sharks cruising along in the shallows of the South Beach. 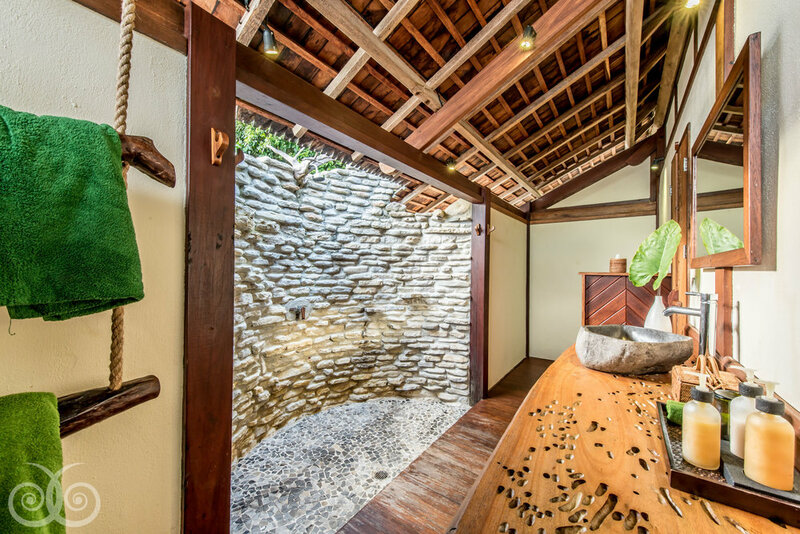 This Villa also features an extra octagonal shaped 'pod,' perfect for meditation or yoga. 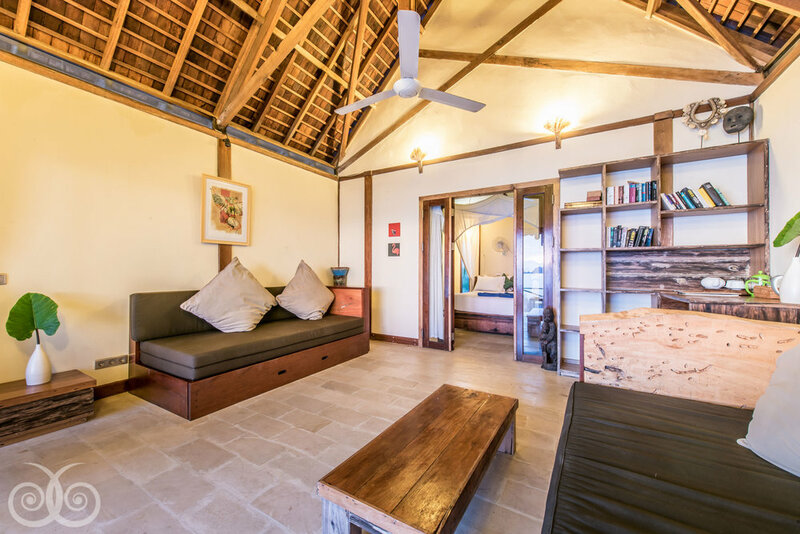 Named after one of our island's most important spirits, Villa Kalanme is a complex of three separate en suite bedroom units, with a shared octagonal-shaped lounge area and huge outdoor living space. This Villa is particularly well-suited to those who enjoy greater privacy and gorgeous white-sand beaches. Private dinners may be arranged in the shared lounge area. Recommended for groups of 4-6 guests or families with small children. 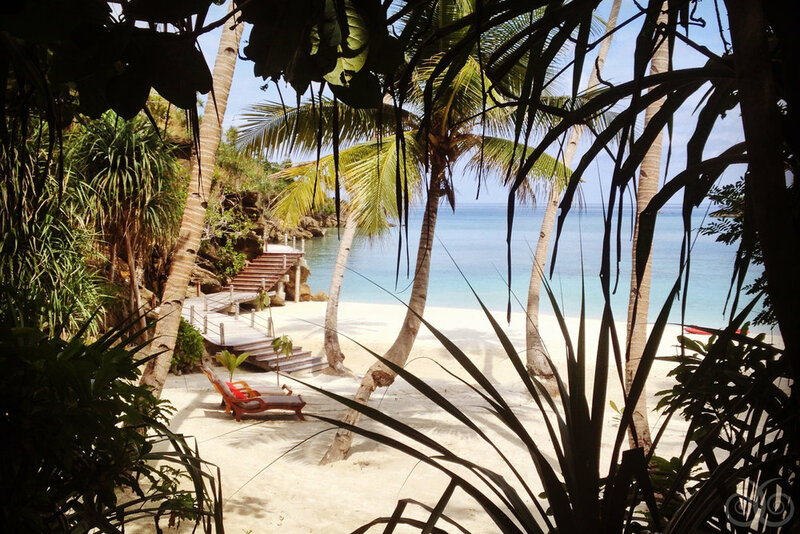 Villa Santai is located towards the end of the South Beach, tucked under the coconut palms. This stunning en suite bedroom features expansive views over the Southern horizon from its huge terrace. 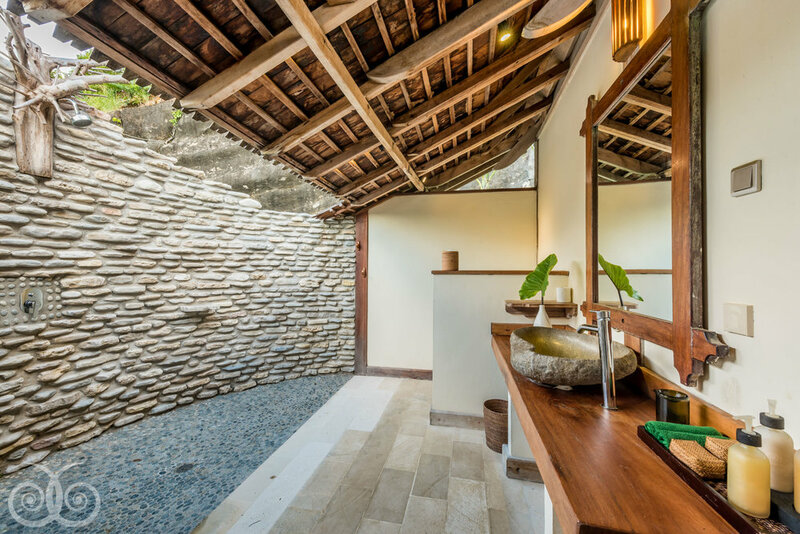 Outdoor showers are the perfect place to admire cockatoos and hornbills flying overhead. 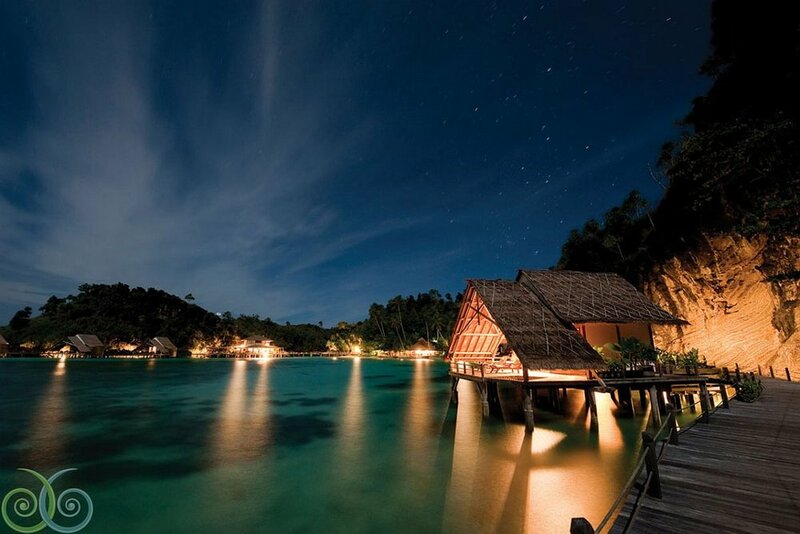 Villa Tenang is the last accommodation at the end of the South Beach. Enjoy the sounds of the jungle, with the sea right at your doorstep.